Tonight is the night! The Academy Awards is finally here and so begins the fun of fashion parades by the stars, the awards and then the fabulous parties. Even if you don't have the tickets for the exclusive fun of Hollywood, that doesn't mean you can't enjoy your own celebrations. 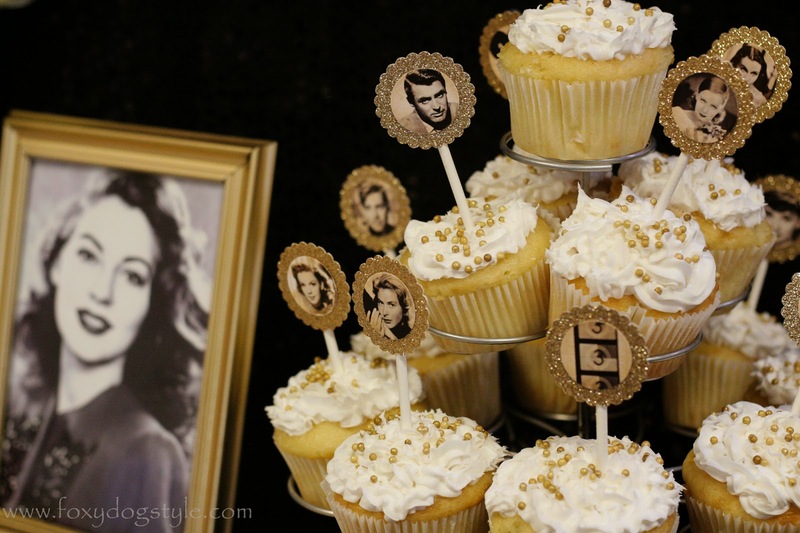 Hollywood parties are in my opinion, the easiest theme party to put together because there are so many fun options! There are tons of party websites dedicated to Hollywood themes and the different theme ideas are endless...New Hollywood, Old Hollywood, Movie Premiers, etc. 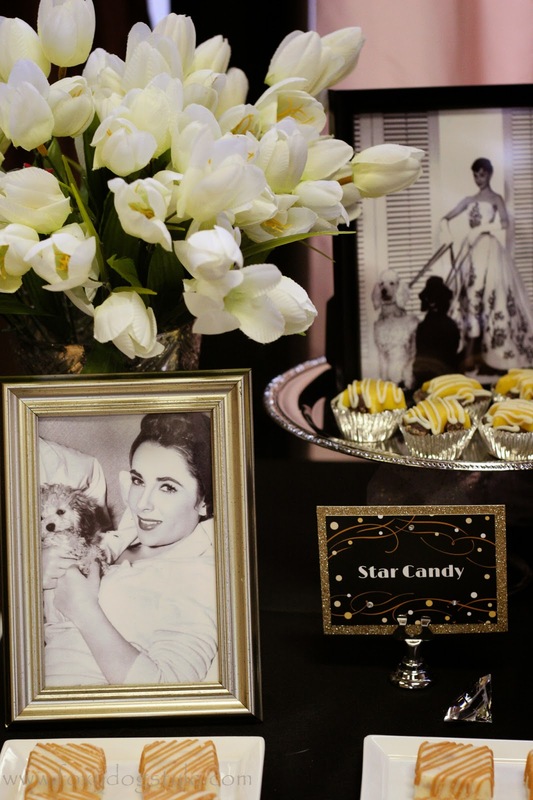 Last year, Zoey had her third birthday and we celebrated it in True Old Hollywood glamor style and threw a bash for both the people and the pups. 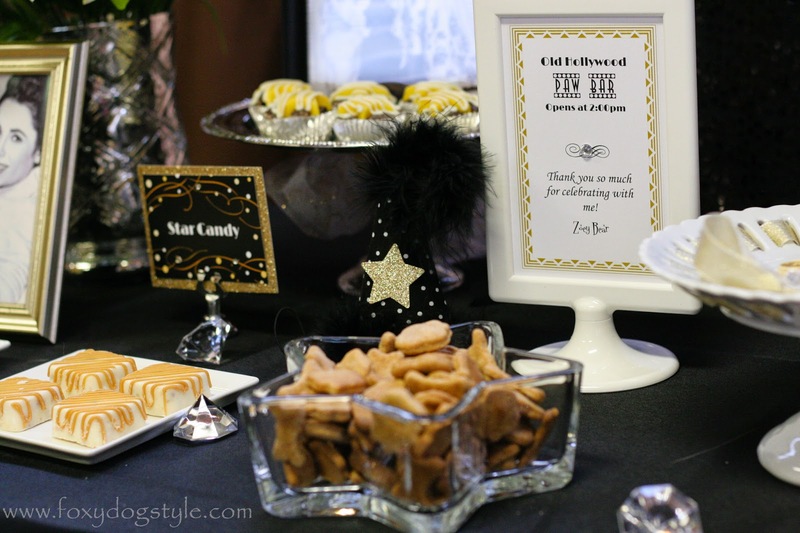 More pictures, tips and tricks for a great theme party below. 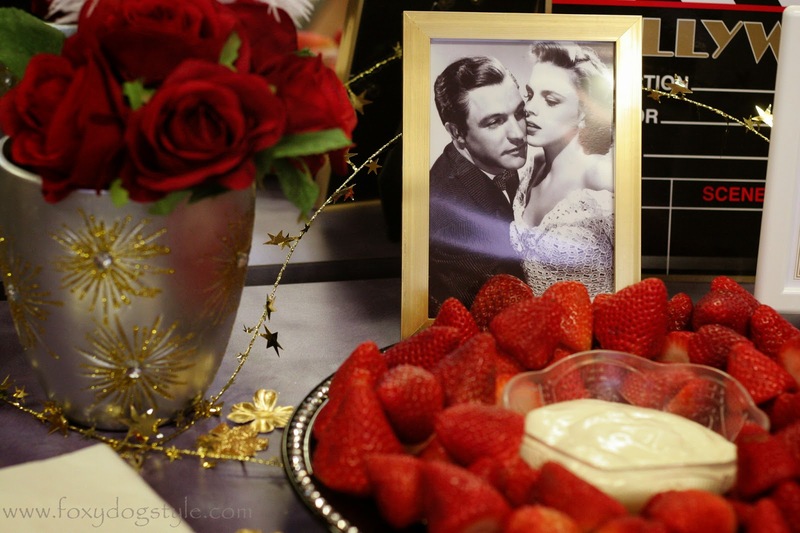 We chose the Old Hollywood genre of the 1930's-50's, and stayed with the gold and black colors with pops of red. 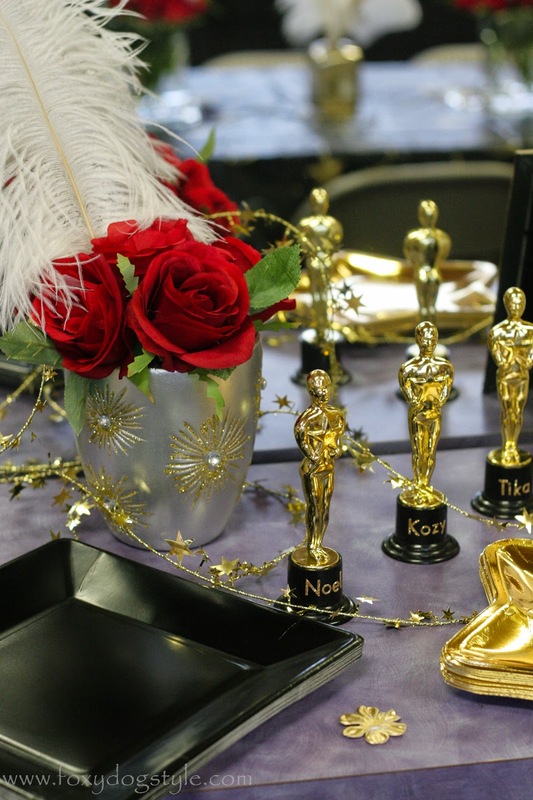 After walking the red carpet and having their photo taken from the "Puparazzi" guests were treated to snacks while listening to some Frank Sinatra, Judy Garland, and Ella Fitzgerald jazz tunes. We had two buffet tables since one was dedicated to the pups which we like to call the "Paw Bar". 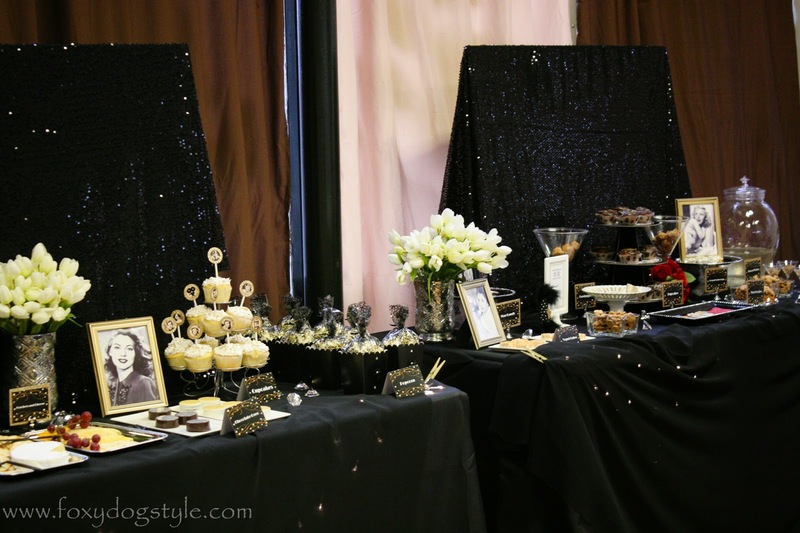 The "Humans" table featured some sparkling cider and a variety of cocktail snacks such as strawberries and cream cheese, chocolate covered oreos, vanilla cupcakes, and cheese and cracker plates. 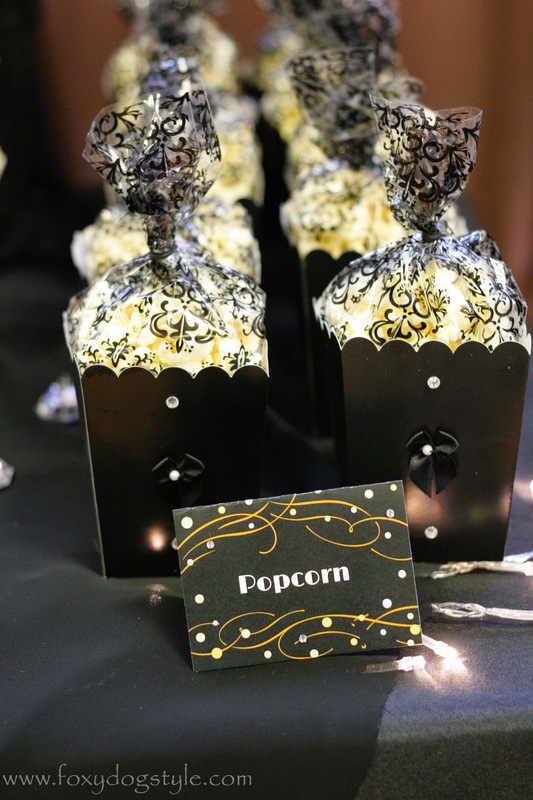 The Human guests each received a popcorn favor treat. 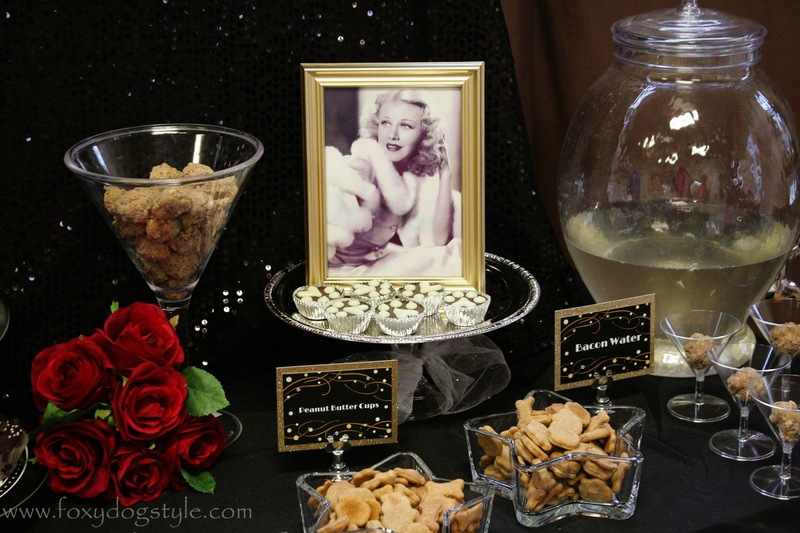 The "Paw Bar" had a variety of homemade dog treats, pupcakes, star shaped cookies and bacon water "muttinis". 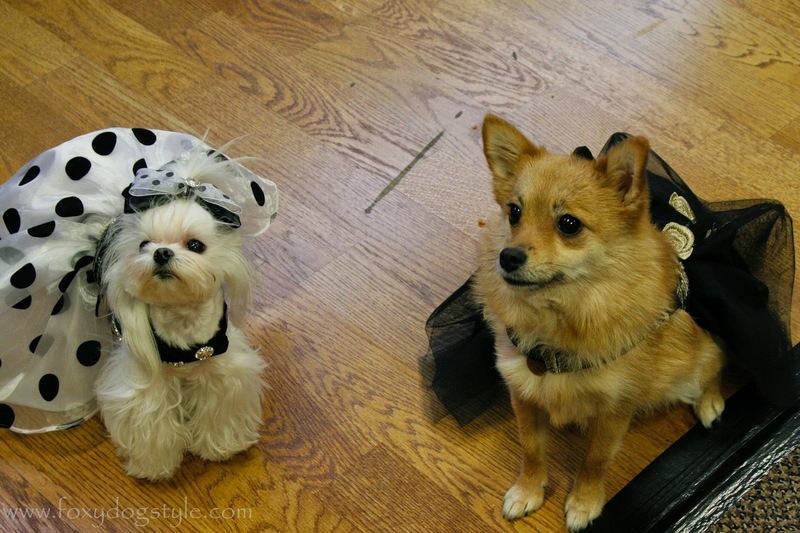 The dogs were treated to gift bags with toys, and a custom dog treat that looked like a pair of Hollywood sunglasses. Dollar Tree is one of my favorite go-to places to shop for party supplies. Plates, buffet accessories, and balloons are my favorite things to purchase. These adorable star shaped candy dishes were perfect for serving up some treats. In keeping with the Hollywood theme we also printed old celebrity photos and used these dollar frames for decor. 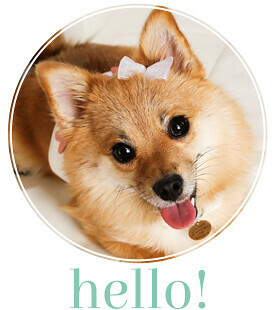 Of course don't forget to invite your fabulous friends to the party!